Nobuyoshi Araki, 101 Works for Robert Frank (Private Diary), 1993. Courtesy of The Walther Collection and Anton Kern Gallery, New York. 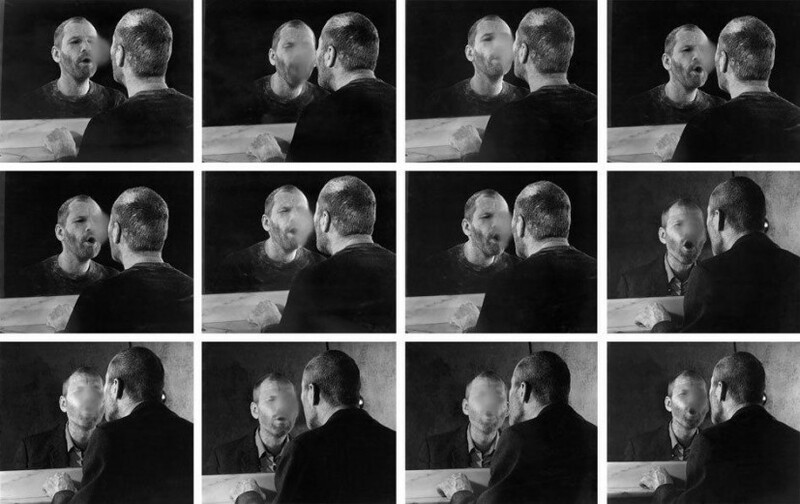 Dieter Appelt, Der Fleck auf dem Spiegel, den der Atemhauch schafft (La Marque de respiration sur le mirroir), 1977. 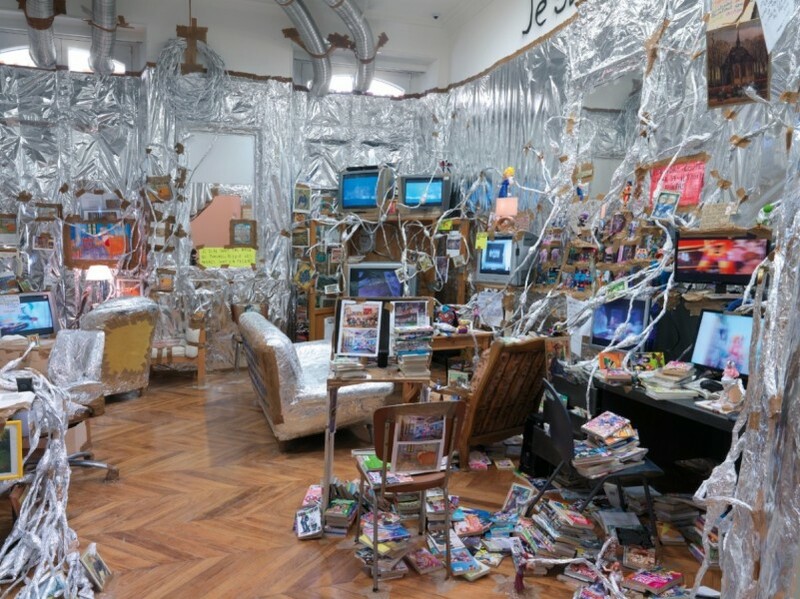 Courtesy of The Walther Collection and Kicken Gallery, Berlin. Today’s dispatch comes to you from Arles, baking beneath the intense blue skies of Provence. Poised on the brink of change, this ancient walled city of pale golden stone is offering up the very last Rencontres de la Photographie under veteran director François Hebel and is looking forward to the new regime of Sam Stourdze, as well as the effects of the ongoing beneficence of Maya Hoffman’s Luma Foundation. An annual festival of photography that has steadily gained a stellar international reputation under Hebel, Les Rencontres 2014 has a slightly elegiac air. 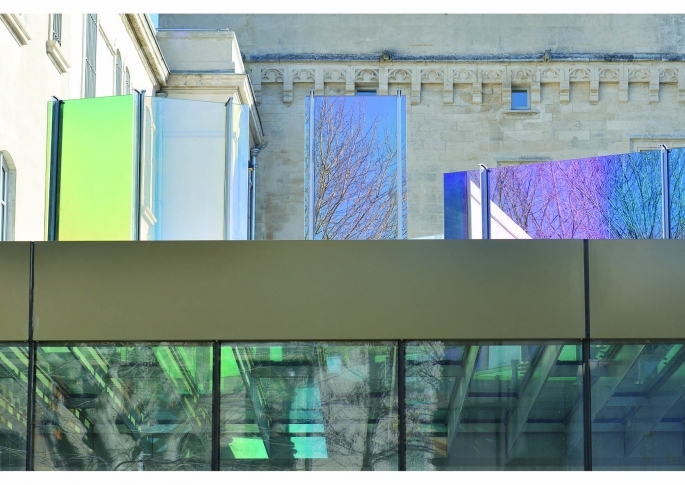 It lasts until 21 September, but if you happen to find yourself in Provence after that the new Fondation Vincent Van Gogh is justification alone for a visit to the city. Bice Curiger, the brilliant artistic director of the Fondation, has produced a series of displays that bring together the promised nine paintings on annual loan from the Van Gogh Museum in Amsterdam with some sensitively chosen work by contemporary artists. Links between past and present are subtly managed via Gary Hume’s sophisticated eye for the colours of the south on the exhibition walls, while Swiss artist Thomas Hirschhorn’s installation makes extensive use of quotations from Van Gogh’s letters from Arles to his brother Theo. 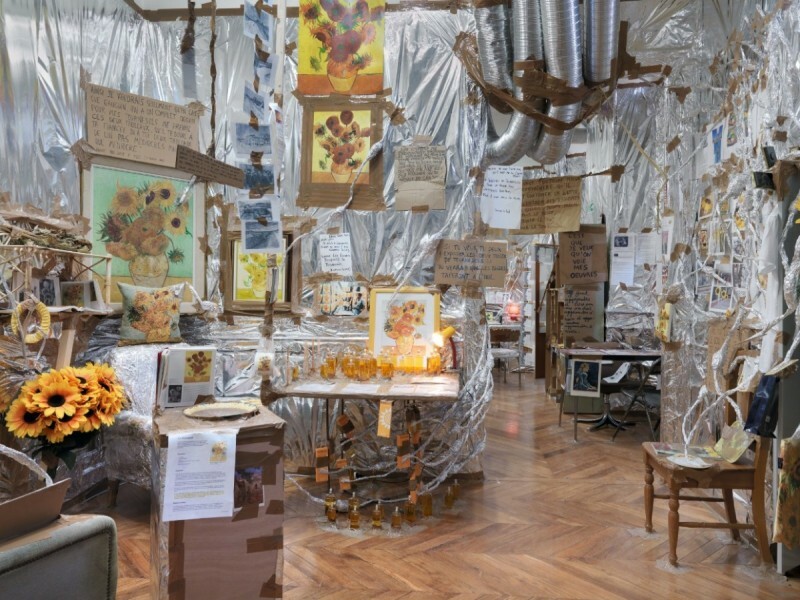 “Je suis dans une rage de travail puisque les arbres sont en fleurs” is scrawled on one wall of the installation and “a frenzy of work” could well describe the intensity of the Hirschhorn paean to Van Gogh too. 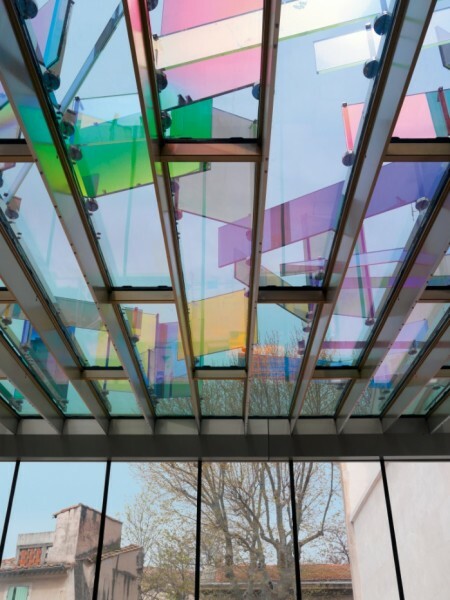 Another treat for the visitor later in the year will be the effect of the Raphael Hefti glasswork installed over the roof of the new atrium of the building. A series of coloured fins that cast shards of colour into the interior, these colours fade as the light becomes stronger in summer, and will intensify again with the change of season. A particular pleasure is the inclusion in the central displays of a series of prints by Japanese master Hiroshige, a group of works purchased by the Fondation. We know from our art history that the Impressionists were hugely influenced by the calligraphic line and flat colour planes of traditional Japanese prints, but to be able to turn from a late 1880s Gauguin or Van Gogh to a wall of early 19th century Hiroshige prints is a rare privilege. 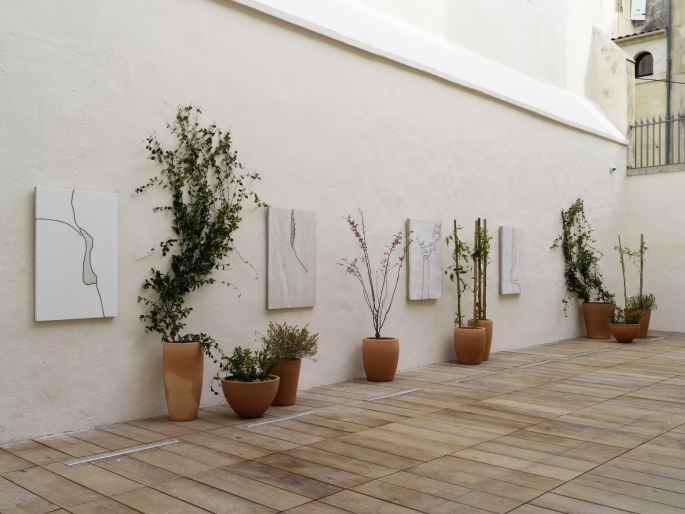 Fritz Hauser’s delicate, percussive sound piece installed in the staircase with a silvery wall drawing was made in direct response to a Hiroshige drawing entitled Rain. Walking away from the centre of town, remembering Van Gogh’s painting The Yellow House with its little steam train puffing in to Arles on the Paris-Lyon-Méditerranée line, bringing the white heat of 19th century industrial progress, we head towards the Ateliers that have housed the Rencontres since SNCF (the French railway) moved out in 1986. If one thing seems to unite the thousands of images on display here it is the story of humanity coping with the coming of change. Lucien Clergue founded the Rencontres in 1972, and there is a strong exhibition of his works here. Early 1950s shots of Arles in ruins and myth-making images of the troupes of “Saltimbanques” and gypsies that plied their trade in the region and caught the eye of Pablo Picasso, give a flavour of post-war life in this southern town. 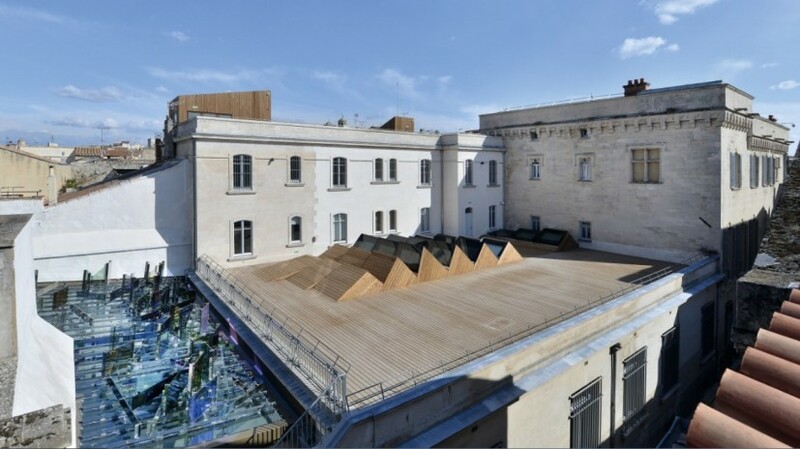 There is a large exhibition of architectural models by Frank Gehry, with interventions by Philippe Parreno, Tino Sehgal and Liam Gillick in the atelier next door. This includes a model of the new Gehry museum commissioned by the Luma Foundation, which will sit alongside the ateliers on the site. The ground has already been prepared for the foundations of this new private institution, which is due to open in 2018. Kechun Zhang, winner of the Prix Découvertes this year, has centred a series of works on the Yellow River, symbolic carrier of enduring Chinese spiritual values. His images chronicle rapid industrialisation within pallid, vulnerable landscapes. Korean artist Youngsoo Han, who died in 1999, depicts the population of South Korea re-establishing life with enormous dignity, again after the upheavals of conflict. Constructed photography, assemblage and an almost forensic exposition of obsessive collecting also emerge as themes across this incredibly rich and diverse festival.